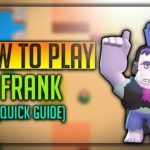 Home » Nita Brawl Stars Complete Guide, Tips, Wiki & Strategies Latest! Nita is a bear headed girl, Who is a group of Tribal Shamans. Her Spirit animal is Big Baby Bear, Which is spawned to assist her in the battle. She is unlocked upon reaching 15 trophies. 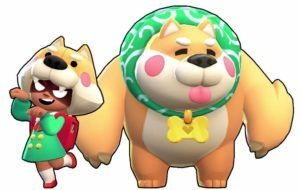 The Big baby bear has high health and melee damage, It could serve as Meat Shield and provide a good hold on Gem Grab matches. Name of Nita’s attack is called Rupture. As the quote says, She sends a shockwave which ruptures the ground and the enemies caught in it are damaged badly. And the attack has good width and travels in a straight and long direction. The attack is done as GIF above. Nita can attack multiple enemies at once with her attack. Her attack is capable of piercing through objects and enemies, So multiple damage could be done. Nita’s Super is called as Overbearing, She summons as a Big Bear at a decent range. The Bear has good HP and melee damage, Can attack enemies and get kills especially long-range brawlers killed easily. When you upgrade Nita, Along with her the bear’s Health and damage also get increased. The Summoned bear goes and attacks a nearby enemy. Bear can detect hidden enemies. 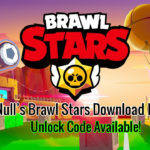 This star power is unlocked when Nita reaches level 9 and unlocked from Brawl boxes. When her bear attacks an enemy, She recovers 500 health and when she does her bear recovers which makes them deadly combo in combat. 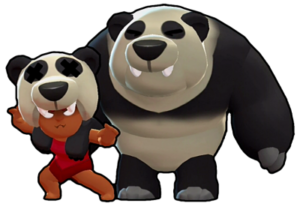 Nita is especially strong when she is with her Super “Bear”, The Bear can almost tank lots of damages, Many enemies go back, So it helps in Area control. 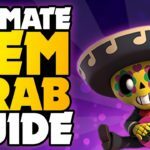 The bear has very high HP equal to of El Primo’s health, So Nita can create her own tank, She can shoot from behind to recharge another super attack. One of her other strength is that, She can attack multiple enemies at once, When they are gathered at a single place, It is one of her greatest strengths. Her Bear can detect hidden enemies, Which is very useful. Nita is all rounder, Can defend, Can control area, Can Shoot from very long range, Can protect her teammates If used properly. So when her bear attacks, damage the enemy, her second super builds, Which builds a stacking effect. She has Average health, If caught by close-combat brawlers, Then the situation is bad. She is not good in maps having lots of obstacles, Cannot shoot directly. You can use Nita, Simply like Shelly, Use the left analog, Rotate that to move direction and in right either swipe, Aim and attack or tap to launch attack, To launch super, Press the super when loaded on the area, Bear will be spawned right there. 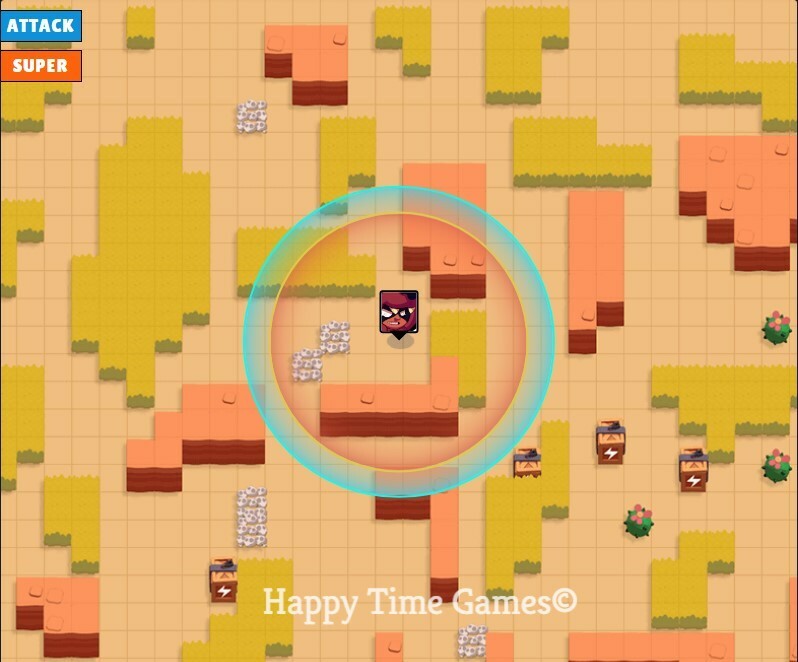 As Nita’s “Rupture” can damage multiple enemies at once and has long range, Try to attack enemies grouped in an area. 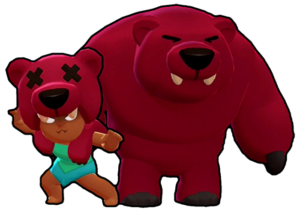 Nita’s Bear can help your team to aggressively hold forward position, As it has a good number of hitpoints and attack. Don’t throw bear where many enemies are there, Throwing bear over long-range shooters is preferred, As the damages could help you build next special. You and your teammates, Make sure you guys support your bear from the backside, As enemies would be focused on attacking the bear, You can take damage and build “Super stacking effects”, Building Super again and again. When the bear is spawned, It is literally 4 vs 3 in the game, Make sure to support bear. 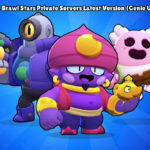 Nita’s bear could be used to find hidden enemies, Make sure you don’t take any risk, By this, you can detect El Primo and other close combat brawlers. You can trap enemies with your Bear, Use your bear to trap and cut down the ways enemies could escape. If you are bear is in the battlefield and your health is low, You can retreat anytime and your bear is giving aggressive push over opponents. After replenishing, You can go to attack for next round. 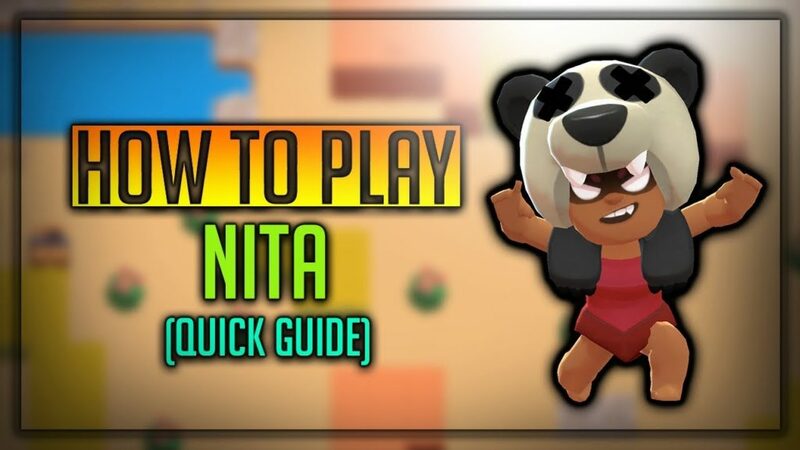 Nita is fast, She can grab gems easily in Gem Grab matches. If you are not sure, where your enemy is, Throw your bear, It will auto detect and attack the nearby hidden enemy. In Heist game mode, Make sure you could reach near enemies heist, You can throw your bear over the heist, And it will make some damage, So the enemies will go back to the spawn point. In defence mode, Use your bear to make the enemies run away from their offensive positions. In Showdown, Stay with the bear, As it could detect hidden persons, And you can attack from both angles, Trapping an enemy. 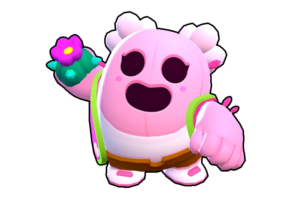 In Gem Grab, Nita is very useful to control the centre area with her “Big Mighty Bear”, Support the mighty bear. Nita Skins, How to Unlock? Nita is unlocked when you collect 15 Trophies, If you want to unlock Panda Skin, You need 30 gems and buy from the shop, There are more skins on the way. 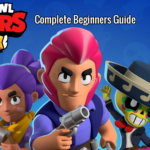 We hope you have liked complete guide about “Brawl Stars Nita” and learnt something, Implement all these things, And I bet that no one could touch you that much easier. 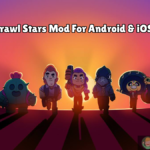 Do subscribe to Happy Time Games and press the bell icon to receive updates about Brawl Stars instantly as soon as it happens.